Police React to Lawsuit by Billionaire Kidnapper Evans Challenging His Detention. Following the lawsuit filed by billionaire kidnapper, Evans, challenging the right of the police to keep him in detention, the Nigeria Police has reacted. 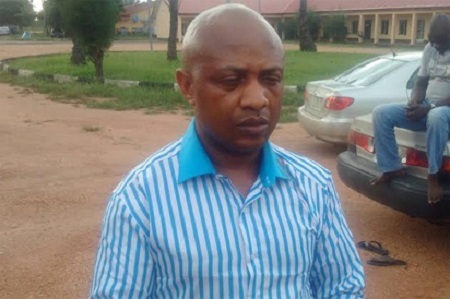 The Nigeria police authorities, rising from an emergency meeting, have said that they have power to keep the arrested kidnapping kingpin Chukwudumeme Onwuamadike, widely known as Evans, in their custody. According to Daily Trust, a senior police source said that some people who felt that their interest was being threatened were the ones behind the move to get the court to release Evans. A lawyer had approached a Federal High Court to challenge the continued detention of Evans, stressing that it violated Evans’ fundamental human right. Sources at the police high command said it was Evans’ gang members yet to be arrested that sought for and got the services of the lawyer to frustrate further investigation into the case. It was however gathered that the Police expected such a move early enough and had equally secured an order of the Federal High Court to detain Evans for at least three months. The order, a police source told newsmen, was secured last week Thursday, and it covers the retention of Evans and all his gang members so far arrested for three months. The source said this was to enable the police conclude all investigations in Nigeria, Ghana and South Africa so that all those involved in the kidnapping ring run by Evans would be brought to book.